Is a Rehearsal Just Another Thing on Your To Do List? Posted on January 22, 2019 January 22, 2019 by Enduring Promises Inc. Most of the planning is done, your day-of schedule almost finalized, and you’re short on time. Just the standard situation when planning a wedding! 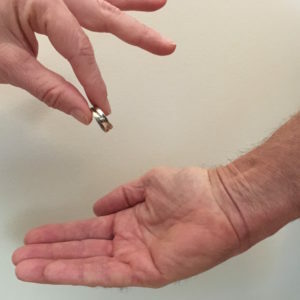 One of the questions asked most often by couples is, “Do we need a rehearsal?”. The answer is both yes and no. Yes, if you want one, but wedding rehearsals are not for everyone. There is no hard and fast rule that suggests you must have a wedding rehearsal, as there are reasons both for and against. Here are some things we think you should consider when deciding if you need a rehearsal. If your wedding is small, with few or no wedding attendants, and doesn’t include any cultural traditions or special readings, you don’t need a rehearsal. Save the cost of a rehearsal and put it towards your honeymoon. On the other hand, if you are having a large wedding party with several bridesmaids and groomsmen, setting aside 45-60 minutes a few days day before the wedding would be advisable. If children and parents are involved, and/or a special reading by a guest, and possibly a cultural element, then a rehearsal will help remove any last-minute uncertainties, calm nerves and help put things into perspective. A rehearsal will also give your wedding party an opportunity to see the venue for probably the first time. Now is when they can practice how and where to enter, where to stand and establish the right pace – not so slow that your guests fall asleep during the processional or so fast that the wedding party is seen sprinting to the front. In addition, if the terrain is unlevel, or there are several steps, a test run is a good idea. Rehearsals are all about the logistics, the flow of your ceremony, not about the words to be spoken. For a wedding ceremony to run smoothly, everyone involved needs to know in advance what is expected of them and what they can expect. Where and when to gather for the processional, in what order to enter and with whom, what is their cue to enter and with what musical selection, and where to sit or stand. Without clear direction, this part of the ceremony alone can be chaotic. If you choose to do a rehearsal, you need to decide who will lead it and who should attend. Afterall, not every cousin, uncle or aunt needs to be present – especially if they’re not directly involved in the ceremony. 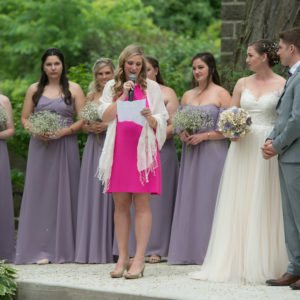 Usually, the best one to lead the rehearsal is the person who helped you create your ceremony – your Officiant. Granted the venue coordinator or your wedding planner may be more familiar with the physical layout of the venue, but they will not be familiar with the specific aspects of your ceremony – the most important part of your celebration. 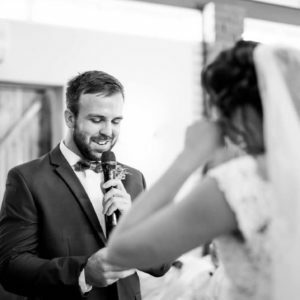 Your Officiant will go over all the details, large and small, that are so important to ensure that your ceremony flows and you get the best photo memories of your ceremony. Your Officiant will also make sure that if some of your wedding party couldn’t make the rehearsal, they are aware of their role. So, if you chose to have your Officiant lead your rehearsal, make sure you ask him/her well in advance to ensure they are available. Rehearsals can be a fun addition to your wedding celebration for you as well as for your wedding party and if it gives you peace of mind, do it. It is, after all, your wedding day. 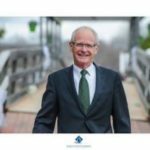 Jim Emerson has helped over 1,100 couples reduce the stress of creating their personal and unique wedding ceremony. He is a husband, father, friend, author, triathlete, handyman, teacher and passionate about his family and work. Jim can help you imagine, create and celebrate your dream wedding ceremony. Contact him today, he’d love to hear from you. 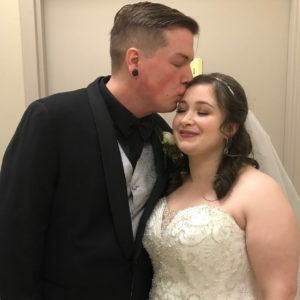 Posted on December 31, 2018 December 31, 2018 by Enduring Promises Inc.
As the wedding planning process begins, some time-honoured wedding traditions are being replaced in favour of more modern ones. For example, the bouquet/garter toss, the receiving line, white dress, church wedding, matching bridesmaids’ dresses, and not seeing the bride before the ceremony are a few dated traditions that are dying a quick death. They are being replaced with an emphasis on guest engagement and the use of online apps and social media to help create an experience that reflects the couple’s personalities and values. 2019 brides will be more likely to wear dresses with geometric patterns and shapes with splashes of accent colours as opposed to floral lace and sweetheart necklines. The bridal jumpsuit is also becoming a popular choice for more casual, smaller weddings and a fun option for rehearsal dinners or other celebrations leading up to the big day. The increased use of social media to announce the pending “I do’s”. Using an array of online planning tools to search for vendors, décor inspiration and potential venue locations. Technology, technology and more technology will continue to play an increasing role in streamlining the wedding process. From emailing save-the-date announcements, creating a wedding website or special wedding hashtag, technology has become “Mother’s Little Helper” when it comes to planning a wedding. Instagram, Pinterest and Facebook are now a staple for wedding ideas and suggestions. We will see more online invitations than paper requests due to convenience, affordability and market acceptance – not to mention the eco-friendly nature of an electronic invitation. 2019 will see a greater use of drones to capture different perspectives of the wedding day. 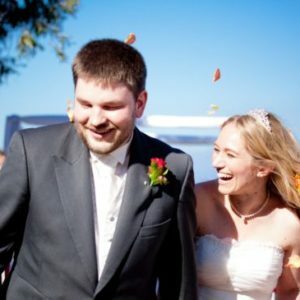 The ability to catch that unique moment in a wedding video is now easier and more affordable. So, expect to see more drones at this year’s weddings. Getting naked – the cake, not the couple. This year both sides of the wedding party will be wearing different styles and pops of color. Unplugged ceremonies will continue to increase in popularity. Expect more signs encouraging guests to put away their cell phones and celebrate the moment with the couple. The types of food couples are choosing for their reception is becoming more personal and creative. While sit-down dinners will always be popular for formal or small gatherings, couples are getting more creative with the food they serve. So, expect to see themed food stations instead of one buffet. The same goes for unique drink and custom cocktails named in honor of the newlyweds. Such choices become even more personal if the food and drink have a special significance to the couple or their families. So, as you start planning your wedding day and your future together, maybe it’s the perfect time to embrace some new wedding trends that are more personal, engaging and memorable for all. Posted on November 30, 2018 November 30, 2018 by Enduring Promises Inc.
Posted on November 21, 2018 November 22, 2018 by Enduring Promises Inc.
“Enduring Promises came recommended to me from my cousin whose friend used Enduring Promises to find her officiant. I contacted the company, and someone emailed me back very quickly giving me options for officiants who would best fit our non-religious wedding ceremony. We met Brian Manuel and instantly knew he’d be perfect. He made everything less stressful by giving us ideas for our ceremony. The website was very easy to use and extremely helpful. We were able to use examples and change them to fit our ideas for our perfect ceremony. Brian supported us the entire way and made it so easy. 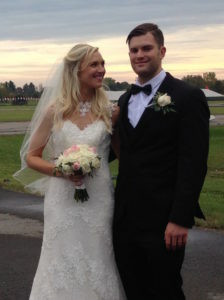 When our big day arrived, I was so relieved to see Brian’s smiling face – he was so personable and very professional. Brian made the entire process stress free and helped create our ceremony. Posted on September 27, 2018 October 1, 2018 by Enduring Promises Inc.
Don’t get stuck doing wedding duties that your wedding party can handle. Spend time celebrating with your guests and your new spouse. Don’t change your mind about who will be in your wedding party after you’ve asked, and your invitation has been accepted. If you do, you’ll probably lose a friendship. Don’t ask your attendants to run errands that should be performed by hired help. If you need a baby-sitter during the reception or someone to shuffle cars, hire someone…but not one of your bridesmaids or groomsmen. Along a similar line, never ask a guest to donate an item or volunteer a service that would normally be paid for. More than likely they will say yes, but is it a willing yes or do they feel compelled? Your cousins as the musicians, his aunt the baker or your uncle the photographer are often the targets of this abuse. Don’t spend too much time with any one guest or group to the exclusion of others. Spend time, with your new partner by your side, visiting with each of your guests. Once you have chatted with all who joined in your celebration, revisit your nearest and dearest. If possible, try to visit with each guest at least twice during the evening so that everyone feels welcomed and included. Don’t question an invited guest’s reason for declining your wedding ceremony invitation. You don’t know what might be going on in their lives when your invitation lands in their Inbox. The quickest way to make your guests feel forgotten or unappreciated is to start your ceremony 30 minutes late or leave a big gap between the end of your ceremony and the beginning of cocktail hour. Whether it’s from the bride or groom, no one wants to hear a long and boring toasts. Keep them short and sweet. Speeches can be meaningful without rambling on. Your guests want to get dancing! A final thought: Regardless of the flowers, music or food, the result is the same — you just married the person you love, and nothing else matters! Posted on September 5, 2018 September 5, 2018 by Enduring Promises Inc. There are many factors to consider when planning your wedding. Even though you have some ideas, the professionals you meet face-to-face at a bridal show will be able to answer any questions you may have. So, it’s a good idea to speak with as many exhibitors as you can. Ask about their background, experience, services, and aspects of your wedding that are an absolute must have. You’ll get immediate feedback and some suggestions that might confirm that the person you are speaking with is the perfect vendor for your wedding. Although Pinterest, Instagram, Google and innumerable wedding blogs and websites have made it easier to learn about the latest trends and fashions, nothing compares to seeing and feeling the real thing – “up close and personal”. 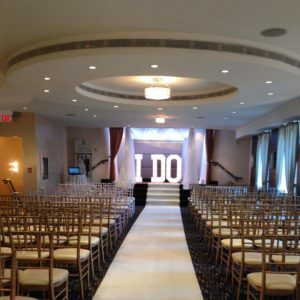 The best vendors, based on online reviews, are typically up-to-date with the ever-changing trends in the wedding world and will happily share what they have seen and experienced. 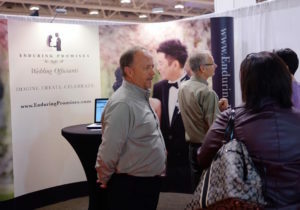 Most bridal shows have some type of gift for those who register early and door prizes for all things wedding related. Many wedding vendors also offer some form of show promotion which might include a reduction in their fee, an upgrade to their standard package and even honeymoon discounts, if their service is booked by a certain date. So, if you’re not sure, it never hurts to ask if the vendor is running a show special. We guarantee that there will be some specials that are far too good to pass up. 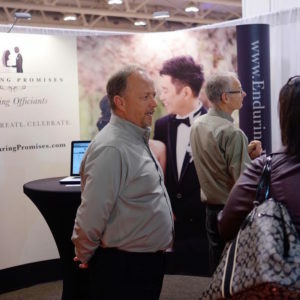 There’s no two ways about it – wedding planning can be stressful.So, enjoy an afternoon at a bridal show with loved onesby bringing along your wedding party, mom and mother-in-law. Having more than one person with you, especially someone whose opinion you value and trust,will keep you from making rash decisions, help you gather info, and help you carry the magazines, brochures and other goodies the exhibitors have for you. The more decisions you can make at the show however, the more items you can check off your planning list. What If They’re Not The One? Posted on August 13, 2018 August 15, 2018 by Enduring Promises Inc. I can’t remember a year when so many couples have decided to end their relationship, and cancel their wedding. They’ve already begun celebrating with family and friends, receiving gifts, choosing vendors, and finalizing a honeymoon destination. They’re months into planning the biggest celebration of their lives and they are confronted with the reality that they aren’t in love anymore. Now what? I won’t try to sugar-coat the situation with words like, “Your family and friends will be totally supportive and understanding”, or “It’s what you’ve got to do, if you don’t want to spend the rest of your life married to the wrong person”. It’s going to be emotionally challenging, no doubt about it. I commend you for taking the difficult step to cancel your wedding knowing that s/he is not your soulmate, but deep down inside you know that going ahead with the wedding isn’t the right thing to do. So, here are some steps to take if you have decided to cancel your wedding. Announce your decision to your families and those involved in the wedding immediately (the wedding party, readers, grandparents, siblings, etc). Meet face-to-face, together if possible, with the both sets of parents. Details are not necessary, but it is important to reach out expressing your disappointment that things didn’t work out. If it’s not possible to meet or speak with both sets of parents, for whatever reason, it’s appropriate to write them a heartfelt letter, not an email, thanking them for their support and love. Tell all your invited guests as soon as possible of your decision, especially those who have made travel plans or placed deposits on accommodations. If your date is close at hand, a phone call might be required to ensure all guests received the message. If you haven’t sent out invitations or any other correspondence (including a Save-the-Date announcement) there is no need to spread the word in any formal way. However, if wedding invitations were sent by mail, email is not appropriate notice and a hand-written note should be sent. Contact your vendors and let them know, in writing, that you’re cancelling your wedding. Review each vendors’ cancellation policy regarding your deposit. Generally, deposits are non-refundable, but there may be room for flexibility depending on the timing of your cancellation and the circumstances. Most wedding vendors and travel agents will try to be as accommodating as possible but be prepared for the worst. If you are only weeks away from your scheduled celebration, it’s safe to assume that you will not receive a refund – from any vendor. If you have already paid in full, and there is little chance of a partial refund or credit, ask about using the deposits for another event. Return all engagement, shower and wedding gifts to the guests who sent them. Include a note announcing the cancellation of your engagement and wedding ceremony and thank them for their kindness. Return them sooner than later, as your guests may be able to return the gift they sent to you. Besides you don’t want reminders of a wedding that didn’t happen. Statistics show that 13% of couples cancel their engagement. So, you aren’t the first to cancel a wedding, and you won’t be the last. After the embarrassment, self-doubt, tears and emotional pain has passed, you will look back in relief on your decision not to spend your life married to the wrong person. 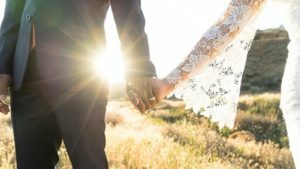 Do I Have To Include a Reading In My Wedding Ceremony? Posted on June 28, 2018 June 28, 2018 by Enduring Promises Inc. The short answer is no you don’t…but maybe you want to. 1) Why are you considering adding a reading to your ceremony? 2) Who is this reading for, You or our guests? 3) What does the reading say about you as a couple? 4) Do you know the right person you want to read it? 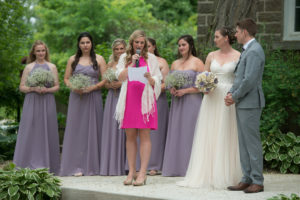 If you decide not to include a reading, your ceremony isn’t going to fall apart, and your guests might not even notice. After all, readings aren’t for every couple and you don’t want to add one just to pad your ceremony or because you’re being pressure to do so by your favourite aunt. We often suggest to couples, not to include a reading just because you think you must. Include one because it speaks to you, it provides some insight about you as a couple, and adds an emotional connection with your guests. In addition, if you’re incorporating other cultural or traditional elements in your ceremony, a reading may not add to your celebration. Remember that a reading is personal and very subjective. This is your day, so if you choose to include a reading or not in your ceremony it’s totally up to you, not Aunt Sally. Posted on May 28, 2018 May 28, 2018 by Enduring Promises Inc.
“I promise not to date another person for as long as our marriage lasts.” Really? No kidding? 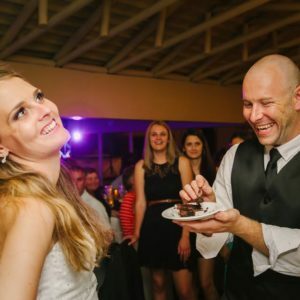 After picking my jaw up off the floor, I wondered what was going through the bride’s mind as she heard her soon-to-be-spouse express his undying love and commitment. I think most of us agree that this is not the most romantic wedding vow, or the best way to start off a marriage. Most guests attending a wedding are there to join in the celebration of two people coming together. We are hopeful that the new couple will honour their vows and work together so that their marriage will not only last, but flourish over the years. I promise to prioritize our marriage. “Couple time” is one of the building blocks of a healthy marriage. Promise to spend time together – to prioritize your marriage – even when life gets in the way. Don’t let the kids soccer practice or work get in the way. This vow is both attainable and it demonstrates that you really want your marriage to last. I promise to say, “I’m sorry, please forgive me”. Sometimes couples overreact in a situation, misunderstand their spouse’s intentions or just have a bad day. It’s at times like this when things can be said that are hurtful and regrettable. 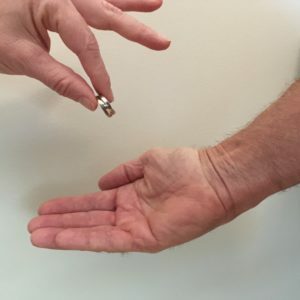 Often one of the most challenging parts of a marriage is misinterpreting something that is said and reacting with a flippant or off-the cuff comment. So, in your vows tell your partner that when something you say is hurtful, it’s wasn’t intentional. Promise that you will apologize quickly and ask her/him to forgive you – and really, really mean it. I will do my best, but I can’t promise to make you happy every day. We often hear couples promise to make their partner happy every day of their life. It sounds great, a loving promise for sure, but it’s unrealistic. It’s not achievable. It assumes that one partner will be responsible for the other’s happiness and that’s not how a marriage works. So, for a marriage to grow each partner must take responsibility for their own actions and not rely on their spouse to make them happy every day. I promise to be all in. Marriage is an unconditional promise to your partner – a 100% commitment, not a 50/50 partnership. It’s about honouring, respecting and serving the other person. Not because you expect something in return, or if they deserve it or not, but because you love them. So, promise your partner that you’re all in – today and forever. I promise to communicate my feelings honestly and openly. Sometimes we expect our spouse to be able to sense our emotions and read our minds. Without open communications however, it’s unrealistic to expect them to know what you’re thinking. Promise to communicate. Openly and clearly. Work together towards a common goal and be realistic about your future together. This will help you get through life’s most challenging situations and reassure your partner that this is for better or for worse, in sickness and in health. We appreciate that it’s difficult to summarize your feelings for one another in just a few sentences. However, if you use these suggestions you will exchange promises that are both attainable and foundational for a long and joyous marriage. 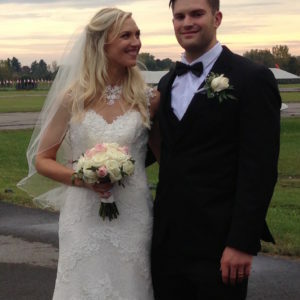 So be yourself, be open, be honest, and you will have succeeded in writing attainable and meaningful wedding vows. Posted on April 10, 2018 May 14, 2018 by Enduring Promises Inc.
1) You’re searching for an Officiant based on price alone. 2) You’re looking for someone to simply say a few words. A wedding ceremony requires an experienced professional to help reduce the stress that most couples feel when thinking about their ceremony. Any licensed officiant can sign a piece of paper, but we want to create a memorable wedding experience for all and ensure that everything runs smoothly so you can enjoy your ceremony to the fullest. 3) You don’t want to spend time creating a unique and personal ceremony. 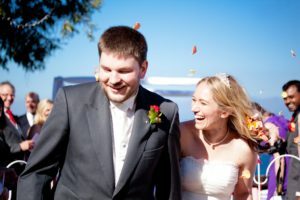 We enjoy working with couples who want a invest time discussing and creating a truly personal and unique wedding ceremony. When the last cupcake is eaten, and the last dance danced, we want your guests to say yours was the best wedding they have ever been to! 4) You don’t care who your officiant is. We take the time to listen! We invest time to meet with each couple to hear and understand their vision for their ceremony. 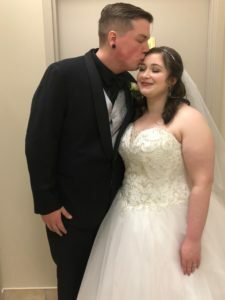 We want to get to know who you are as a couple so that we can offer suggestions that will help you tell your love story, make your guests feel included and connect all the moving parts of your ceremony. 5) You don’t care about what other couples say. Read reviews. Professional Officiants have reviews posted by couples on third-party review sites such as WeddingWire, Google or Facebook. Look at the number of reviews posted as well as what couples have written. Because ultimately, that is how the officiant will interact with you and how s/he will conduct your ceremony. 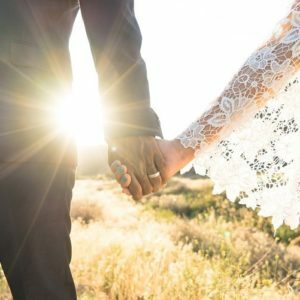 If however, you do not think any of these things, and you want your wedding ceremony to be personal, unique and memorable for you and your guests, then we probably are a good fit for you and we should talk! Inquire About an Officiant Now and let’s begin the conversation. Posted on March 16, 2018 May 14, 2018 by Enduring Promises Inc. In our last blog we shared some insights that we have seen over the years that guests are relatively indifferent about when it comes to a wedding celebration. Now it’s time to share what our experience has shown that guests do care about when attending a wedding. 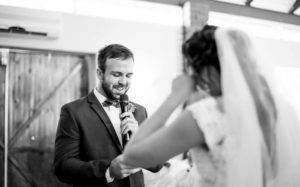 The Ceremony: Your ceremony is the most important part of your wedding celebration, and your vows are always the intimate and emotional part to witness. The Start Time: The key to starting your wedding ceremony on a high note is to start on time. A 10-15-minute delay is acceptable, but after that the Tweets are flying! Comfort: If guests are comfortable, they’ll be able to enjoy your ceremony, which sets the tone for the rest of the day. That might mean adding some padding to the seats or exchange plastic folding chairs for something sturdier. It may also mean renting some heaters in the fall or offering parasols and handing out water on a hot summer day. There should also be enough space between chairs and rows that guests have some leg and elbow room. After all, if your guests are comfortable they will be engaged in your celebration, which means they will fondly remember your Special Day. The Food: Enjoying an fantastic meal with family and friends is a treat for guests. Some of them have waited all day to enjoy those special treats on the dessert table, so make sure your food choices are crowd pleasers. A great meal will keep the atmosphere celebratory, but a bad one could really bring down the mood. In addition, be sure to offer vegan and vegetarian options or choices for those with common allergies, like gluten and nuts. The Drinks: Weddings and signature cocktail drinks go together like a horse and carriage. So, keep the drinks flowing, because there’s nothing that wedding guests dislike more than a liquor well that runs dry. A well stocked bar will also keep the energy high and your guests “in the mood” all night long. The Music: The tunes will be going strong from the first arrivals through the last dance. So, make sure your music list is on point, especially once guests start hitting the dance floor. Skip the chicken dance and opt for fun, contemporary tunes that everyone is sure to know and love. This will unite the crowd and give your guest an opportunity to work off a few calories on the dance floor. The Venue: Skip the outdoor venue during the hot and humid days of summer. Likewise, consider an indoor spot during the cooler fall and winter months. In addition to the climate consideration, does it reflect your personalities? Does it offer free parking, is it assessable, and how far away is it from the nearest hotels? We post new content regularly that will help you create your personal, hopefully stress-free, and engaging wedding ceremony. Follow our Blog for additional wedding ideas and we’ll catch up with you next time. 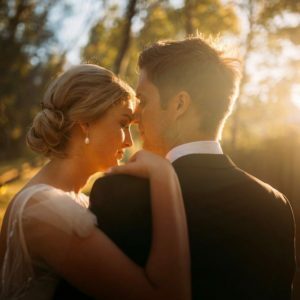 If you found this helpful, Subscribe to our vlog as we regularly post new content that will help you create your personal, memorable and hopefully stress-free wedding ceremony. Anyone who knows me would say that I am fairly laid back, easy going and love my morning coffee. I love chocolate, preferably milk chocolate, and when time allows I enjoy painting and running. I grew up in South Africa before moving to the UK and finally settling in Canada where I married my best friend and loudest supporter. We love to travel and would consider ourselves to be “adventurous” foodies. Enough about me, now tell me about you? Posted on January 26, 2018 May 14, 2018 by Enduring Promises Inc. Most couples know that planning a wedding can be stressful…and will be expensive. Based on our experience over the past 11 years and thousands of weddings, listed below are some things that you may choose to eliminate from your wedding that will reduce the stress, save you money and the best part …your guests won’t notice. Invitations: Don’t spend a lot of time or money here as most invitations are discarded as soon as the Reply envelope is mailed. There are many retailers (Shutterfly, Etsy, Vistaprint or Walmart) that offer a wide variety of wedding invitations that can be downloaded at a flat fee and printed as needed. Programs: Are usually left on the seats following the ceremony and discarded before the first dance. Wooden signs or chalkboards highlighting the events of the day and circulated around the reception area will do the trick. Linens: Specialty linens can get quite costly to rent, and most guests don’t even notice the color or texture of the tablecloths. So, if they are clean save some money and the stress of choosing “the perfect linen” and go with something simple that blends with your décor. Cake: An elaborate wedding cake is expensive. However, that doesn’t guarantee that it will taste as good as it looks, or that your guests will even enjoy your dream cake. So, consider a cake from the local grocery store or offer a dessert bar stocked with a variety of cupcakes, cookies or candies. Your guests may be even more pleased because of the variety. Flowers: In most cases, floral arrangements are a welcome addition to any wedding venue. Decorate the high-impact areas like your aisle and front, since these are going to draw the most attention from both guests and the photographer. However, but don’t let the floral arrangements on the side table consume most of your décor budget. So, rather than spend a fortune and time on designer flowers, visit your local farmer’s market, florist, Costco or grocery store. “The” Dress: I have listed this lower on the totem pole, because I know I’m going to receive some blow-back here. I’m not saying that your guests don’t care how you look walking down the aisle, but if you’re comfortable and the dress fits your personality and you feel like the beautiful person you are, your guests won’t be thinking about the designer or couture of the dress. You might even consider renting your perfect dress from one of the many storefront and online retailers. 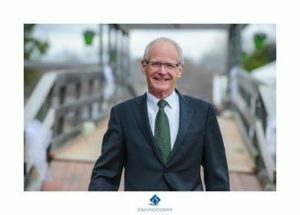 Prior to Enduring Promises, Rinette worked with clients on strategic communications, online development programs, corporate branding and helping clients “get found” online. After officiating her first wedding, many years ago, Rinette was hooked – and now she is a sought-after wedding Officiant. A little-known fact about Rinette…she is an amazing artist and loves milk chocolate!